1000 oz COMEX Silver Bar - Best Prices + Free Shipping = Happiness! The 1000 oz Comex Silver Bar is a bar which can be used to satisfy demand for large deliverable quantities of silver bullion traded on the Commodity Futures Trading Exchange. There are a number of authorized refiners (Approved Assayers) and include names like Johnson Matthey, Argor S.A., Royal Canadian Mint and Metalor. 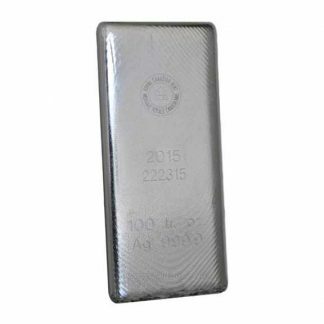 The 1000 oz Comex Silver Bar is really used for industrial purposes but can be popular with large silver bullion investors. 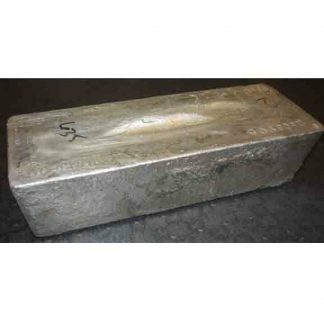 The 1000 oz Comex Silver Bar is a rough looking bar weighing about 65 pounds which is usually poured and readily identified as to maker and purity. The weight varies slightly from bar to bar so it is common for dealers to use the phrase “approximately 1000 ounces”. We use the exact stamped weight when an invoice is written so you will know exactly how much silver you are receiving and how much was paid per ounce. There are a number of considerations when deciding if these “oversized” bullion bars are right for you: (1) the 1000 oz Comex Silver Bar is a bit more complicated to buy and sell because its weight varies within acceptable Comex standards. Not a big hurdle but if you want to know exactly what your bar will fetch a calculator is needed. (2) The weight (65 pounds) is too heavy for most and a challenge when moving or storing, a big disadvantage. (3) Because the 1000 oz Comex Silver bar is not divisible the buying or selling options are limited. (4) The 1000 oz Comex Silver Bar does offer a low premium per ounce among silver bullion bars but this savings is not enough to offset the weight and reporting requirements. 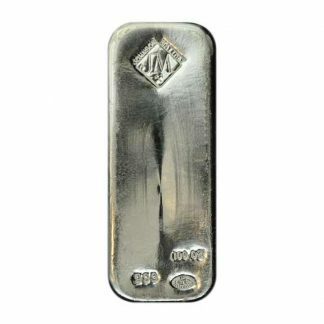 There is no reporting requirement when the consumer buys a 1000 oz Comex Silver Bar but this bar is reportable on I.R.S. Form 1099B when you sell. Silver bullion investing is sometimes a crowded field. The minute the price of silver moves higher there is the normal reaction from the rank and file physical players (good) and then there is the reaction by silver hustlers looking to make a quick profit (bad). To informed buyers the difference between legitimate bullion and a substitute product masquerading as silver bullion (certified modern issues at high premiums) is obvious but to people new to the silver investing field it presents a problem. The biggest offenders in the “new product” junk category are the so called “limited edition” silver coins and ingots. The Franklin Mint pioneered this approach in the 1970′s and all high priced limited silver editions eventually went off the cliff and were melted for their silver value. The reason being is that as the number of “limited editions” grows the more difficult it is to recover the premium you paid over melt. A venue to stay clear of are the Home Shopping players who claim their silver products are in someway related to the rise in the price of silver. In most cases the premium over melt you pay completely negates the fact that the coin or bar is made of silver. It might look pretty, it might be shinny and have a mirror finish, it might be a limited edition, they may sell 500 items in 15 minutes but you are not buying silver bullion. You are paying for “fake” bullion products sold to you with the promise that silver is moving higher and so you had better act today. Don’t laugh there are thousands of people caught up in this game that will never know they have been had until it comes to selling their treasure in the secondary market. No matter how wonderful it looks the product will simply be put on a scale and in 90% of the cases is worth its weight. So if you are newbie and the presentation is compelling (and you won’t take my word for it when watching TV at 2:00 in morning) what should you do? Wait no matter how tempted you are and call us (1-800-225-7531). We will explain the difference between what you are considering and legitimate bullion products which are never sold on television at fair prices because the ad time is too expensive. The way these shows work is that the TV station gets half your money and a large and mostly undercover coin dealer gets the other half. Out of the coin dealer’s share he must pay his vendors for the product you purchased so it is easy to see there are a lot of people to be paid and all that dough comes from your purchase price. A good rule of thumb is to avoid TV and airplane magazine “silver investment” promotions. If you see a silver item which interests you check with your local coin dealer and ask for advice. He will either tell you it’s a scam or you could purchase the same product locally for considerably less leaving more money to buy real silver bullion. Most everyone knows something about silver bullion coins and silver bullion bars but the number of these products available today may cause even the experienced investor to pause. And then there is the practical consideration as to where to buy or sell silver bullion and the notion of getting fair value. The good news is that most silver bullion is similar in nature, meaning it moves up or down with the price of silver, buy and sell prices are easy to understand, and all silver bullion coins and bars are very liquid. So real silver bullion products are easy to buy and sell but keep in mind Uncle Sam does watch some transactions closer than others, so read on before making your choice and be sure to look at our list of Reportable Bullion & Cash Transactions on our home page. The precious metals are bought and sold worldwide using the troy ounce which is slightly more than 31 grams. This may be a bit confusing to the beginner because in the bathroom or Post Office the world standard is the avoirdupois ounce which is slightly more than 28 grams. In other words the troy ounce used for metals is about 10% heavier than the avoirdupois ounce. Understanding the weight component and premium are important because investment in silver bullion requires an authentic bullion product. Bullion products by definition have low premiums so investment in certified silver coins, for example, belongs on the rare coin side of the ledger and has nothing to do with silver as a commodity. All real bullion products move directly with the New York Commodity Exchange, which opens for trading at 5:30 AM and closes at 10:30 AM California time. After the COMEX closes the price of silver continues to move in the aftermarket (higher or lower) depending on continued public and dealer demand. Our GoldDealer.com site always present live pricing so comparison is easy. 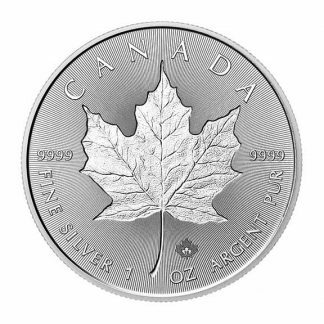 A simple definition of any silver bullion coin or bar is one in which there is a small premium above the content or weight value of the product. In other words you are buying only the commodity itself. Bullion coins or bars will increase in value if the world silver market moves higher and will decrease in value if that same market moves lower. This happens because bullion manufacturers produce large quantities which eliminates the notion of rarity. In the case of US 90% silver coins (1964 or earlier) the quantities minted were so large they too have no rarity factor and their price is an excellent approximation of their silver weight. So what is the difference between a 1 ounce silver coin, bars of silver available in various sizes and the old 90% silver bullion coin bag? Actually all of these are pretty much the same as far as our definition of silver bullion investments. But because of relative availability and demand it is important to compare ounce to ounce prices. So these commodities are similar but not exactly alike because each may offer a particular advantage or disadvantage depending on your needs. 1. The most obvious place to begin is the daily electronic price of silver on the COMEX sometimes referred to as “spot”. Once the COMEX or spot market is closed the physical market can and often does develop what is now called the “aftermarket”. In today’s modern trading model the close of the Comex does not necessarily mean the price of the metals stop moving up or down. Price changes are now transparent 24 hours a day over the internet and pressured directly by paper trading funds, dealer to dealer physical action, derivatives, and overseas markets. That is why CNI uses an independent pricing source regarding spot for gold, silver, platinum and palladium. This source is accepted worldwide and takes the guess work out of deciding which way the paper price of the metals is heading 24 hours a day. 2. The next and important consideration is the availability of the physical product you want. The manufacturing of silver bullion products can be erratic even with solid public demand. For example the US Mint may decide to stop Silver Eagle production because of other priorities. When they work out their production problems the US Mint will begin producing the Silver Eagle but this delay could last months and during that time a premium may develop which can add dollars to the ounce price. The important point here is that lack of availability and increased demand always lead to increased premiums over what a silver bullion product should cost under normal circumstances. 3. Unless you are a purist, paying increased premiums does not make sense because they always move lower as new production enters the marketplace. Your best move is to compare relative premiums between similar bullion products and choose the bullion product with the lowest premium. You may be looking for a box of US Silver Eagles (500 count) and decide the premium on 90% bags is much lower, and therefore a better investment choice. This is true because you could be getting 10% or even 20% more silver bullion per dollar invested, which could translate into higher profits if the market moves in your favor. Remember that premiums come and go because they relate directly to public demand (or lack of it) so if you insist on a particular product when there is not much around and the manufacturer of this product increases production the premium you paid is likely to disappear. The rule here is that premiums can change quickly with investor sentiment so you may or may not get them back when you are selling.